← Take a break from politics…enjoy some classic movie scenes! this video charts a connection between Hollywood’s promotion of adultery and the skyrocketing divorce rate. 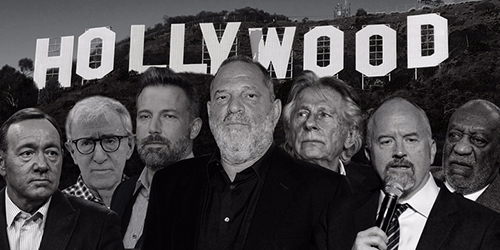 Let’s call Hollywood by a name that is more fitting. I welcome your suggestions for the renaming of the movie capitol. This entry was posted in Christians/Christianity, Evil and tagged adultery, Divorce, heartbreak, persuasion. Bookmark the permalink. Wow, the nicest portrait ever, a gathering of bastards. Now when Marlon Brando & Mel Gibson said it, its “Anti-Semitic” (whatever that means). When (((They))) say it, its “(((K)))osher. Promiscuity, adultery and divorce are misery. No one wins. Everyone suffers. And to portray it otherwise is simply to deceive, the first act of the Devil. So I propose “Hellywood.” The birthplace of disillusionment and delusion. I cannot think of any situation off the top of my head where the “marriage act” was depicted between two people who who were married to each other. If you watch tv or movies today (or any time in the last decades) marital intimacy is portrayed either between unmarried people (fornication) or between people who are married to someone else (adultery). There are no depictions of happily married people being intimate and intending to produce children.